The way I see it, both The Platinum Card® from American Express and The Business Platinum® Card from American Express are fantastic cards. I often get questions about which card is better (aside from the obvious fact that one is a personal card and one is a business card). For many people I think both cards can make sense, while for others there’s a distinct advantage to one over the other. In my case, I have the Amex Personal Platinum Card and Ford has the Amex Business Platinum Card, so together I’d say that’s a very good combo. In this post I wanted to look more closely at the differences between the two cards. They have a lot in common, including a $200 annual airline fee credit, access to Amex Centurion Lounges, access to Delta SkyClubs, Priority Pass memberships, Hilton Honors Gold status, access to the International Airline Program, and much more. So, what’s actually different about the two cards? First I’ll cover the advantages of the personal version of the card, and then I’ll cover the advantages of the business version of the card. The personal version of the card offers a $200 annual Uber credit, which comes in the form of a $15 monthly Uber credit, and then a $35 credit in December. Since I use Uber several times per month, I consider this to be worth close to face value. This is something I get tons of value out of, as the card offers 5x points on airfare purchased directly from airlines. I value Membership Rewards points at ~1.7 cents each, so to me that’s like a return of 8.5% on airfare spend, which supercharges my Amex points earning. However, I still buy some airfare with the Chase Sapphire Reserve®, as it offers triple points and offers great travel protection. On the personal version of the card you can add up to three authorized users for a total of $175 (Rates & Fees), meaning you’re potentially paying under $60 per authorized user per year. 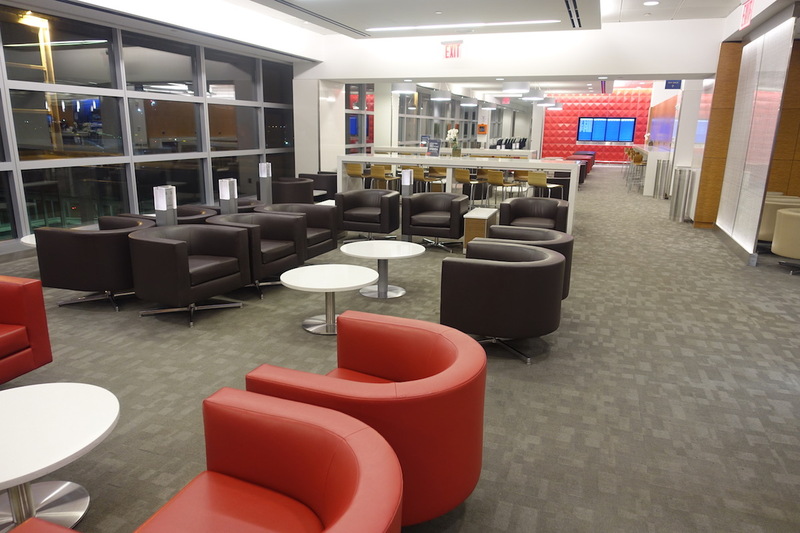 For that fee the authorized users get access to Amex Centurion Lounges, Delta SkyClubs, and Priority Pass memberships. The business version of the card charges $300 per authorized user, meaning that adding three authorized users would cost $900. This is an exclusive benefit to the business version of the card. You get 10 Gogo wifi passes deposited into your Gogo account each year, which can be used for virtually any flight on a Gogo equipped plane, including an international flight. Everyone will value this benefit differently, though personally I think it’s worth ~$150 per year, or so. If you frequently make big purchases, the card offers 1.5x points on purchases of $5,000 or more. You can earn up to a million additional points per year with this bonus. Of course this is only useful if you make purchases of $5,000 ore more in one transaction. Keep in mind that The Blue Business℠ Plus Credit Card from American Express offers 2x points on the first $50,000 spent annually. When you redeem points using the Pay With Points method (which typically gets you one cent per point of airfare), you can get 35% of your points back, up to 500,000 bonus points per year. 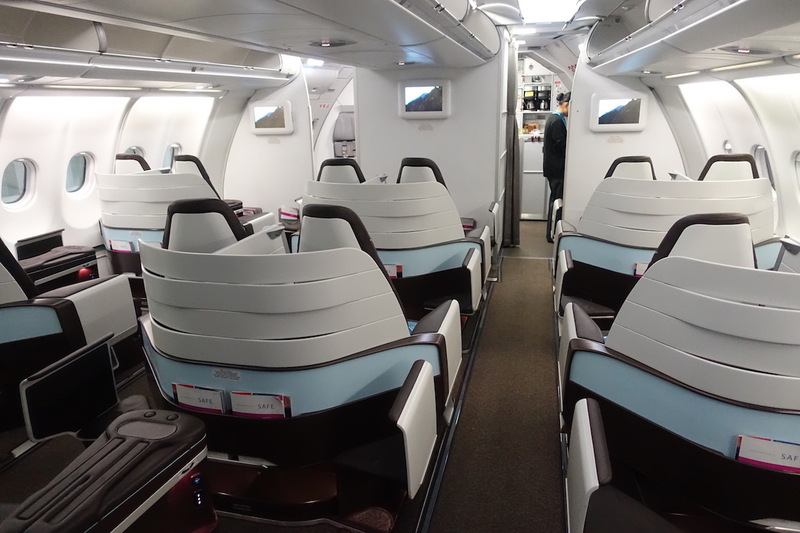 This is available for first and business class tickets with all airlines through American Express Travel. This can get you up to ~1.54 cents of value per point, give or take. I think both the Amex Personal Platinum Card and Amex Business Platinum Card are fantastic cards that can get you significantly more value than you’ll pay in annual fees. While most of the cards’ benefits overlap, the above are what I consider to be some of the biggest differences of the cards. Hopefully that’s helpful for anyone trying to decide which card makes more sense for them. The following links will direct you to the rates and fees for mentioned American Express Cards. These include: The Platinum Card® from American Express (Rates & Fees). 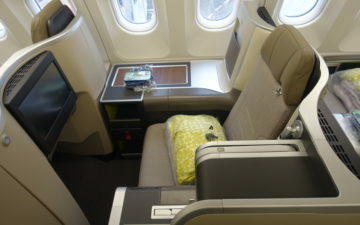 Should you not list the 5x MRs from using the AMEX Biz Platinum to book airfare through AMEX Travel? Though not as convenient as booking directly, it still presents an exceptional benefit over the CSR’s 3x URs. Nice summary! How about AmexSPG Personal vs AmexSPG Business? Are they both worth keeping? Am planning to ditch the Personal and only keep Business version. Can you have both cards? Also, can you open the business card without having an actual business? 1) Amex deliberately makes the uber credit difficult to use by splitting it over 12 months and the uber credit can only be used in the US. $15 uber credit per month and $20 extra in Dec is just far from $200 in cash. 2) Again, with the highest annual fee, Amex does not provide travel delay/cancellation insurance. I will take Citi Prestige 3x or Chase Sapphire Reserve 3x over Amex plat 5x. 3) Lower authorized user fee? Maybe, but not that much compared to other major premium cards. Plus, I will let my authorized users get their own cards for the signup bonus and complete card benefits should they really want the card. 4) Amex signup bonus us once per lifetime. I would wait for the occasional 100k Platinum signup bonus over the current 60k. You can get the Amerprise version of the Amex Platinum for free first year. cancel and repeat. You do not have to be a customer. you do not receive a sign up bonus. The travel blogs seem to be mum on this. No reason to pay any annual fee for that card. And authorized users are also free with the Amerprise route. @Lucky. Can you give a run down of the new Hilton Aspire Card? Did you apply for it yet? @ Mark — Yes, you can have both cards. You need to have some sort of business, though even a sole proprietorship would qualify. For those with excellent credit, I find Amex is the best issuer for getting approved for your first business card. One may also want to consider the AMEX SPG Business card. With the merger of Sheraton and Marriott, I’m pretty much hooked into the brand. I have a fist full of cards but the most valuable to me right now is the AMEX SPG Business card. The best perk it offers is free breakfast and lounge access. Spending $30K annually also maintains Gold Status with Marriott match. Our average 15 nights stay a year allows us to book the basic standard room and get breakfast and lounge access (where lounges exist), which I value at around $750 to over $1,000 annually. (Consider booking a basic, standard room at the Sheraton Nha Trang Hotel & Spa on the beach for $55 plus 3,500 points and get elevated to a Club room.) All this for $95/yr and waived for the first year. It’s a no-brainer and not a bad return. The balance of my annual spending goes on Sapphire Reserve, which is also easy to justify if you travel, book flights, hotels, auto rental, etc. Having free access to airport lounges with Priority Pass and the AMEX card complements travel if you’re not flying business or first, where lounge access might be available. To be clear, you don’t need to spend $30K a year on AMEX SPG Bus card for the inclusive breakfast and lounge. It’s a benefit of just having the card in your wallet. The card essentially pays for itself if a couple has two breakfasts during a 2-night stay per year. I have the business version of the card, and I despise the Amex Travel website. The flights I’m looking for oftentimes aren’t available, and you cannot select seats on most airlines. Amex Travel links well to Delta, but in my experience, not much else. I spend roughly $25K-$30K per year on airfare. I would prefer to book all of it with my Amex Plat card to receive the 5x benefit, but sadly, I only book about half of my flights with my Amex Platinum card. I do have the CSR so of course I use when I don’t use the Amex card, but it does frustrate me to try to funnel all of my air fare thru the Amex Travel website. I’m waiting on the next 100K offer for the personal version of the card to be available, and I will apply for it. I am ready to stop using the amex travel website. @JayBird – that’s really interesting about the Ameriprise option. I didn’t know that. Do you know if owning that card would nullify any future sign-up bonuses if applying for the Platinum card with Amex directly? Doesn’t the 35% refund on Pay with Points also apply to economy bookings on your preferred airline? Lancelot-I am not sure but I would assume that it would not affect your eligibility for the bonus since you do not receive any bonus with the Ameriprise option. Thanks Burt! Didn’t know that option existed either.